Ships tomorrow if you order in the next 19 hours 40 minutes. Many factors play a role in your ability to do well in athletic activities, but a large factor is your amino acid intake. 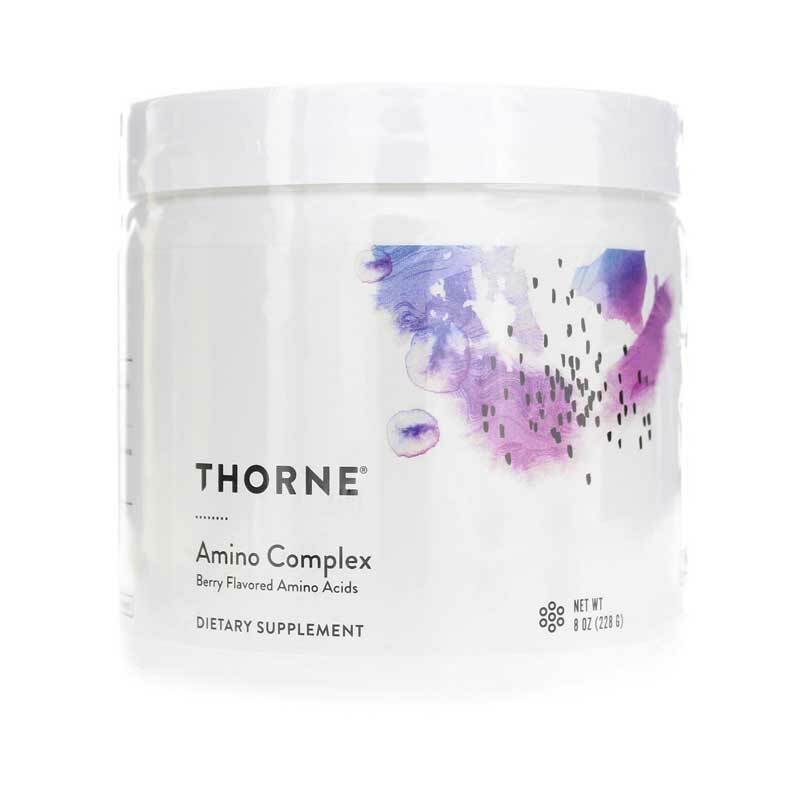 If you've been looking for a formula that provides amino acids your body needs for energy production, Berry Amino Complex from Thorne Research is the ideal solution. 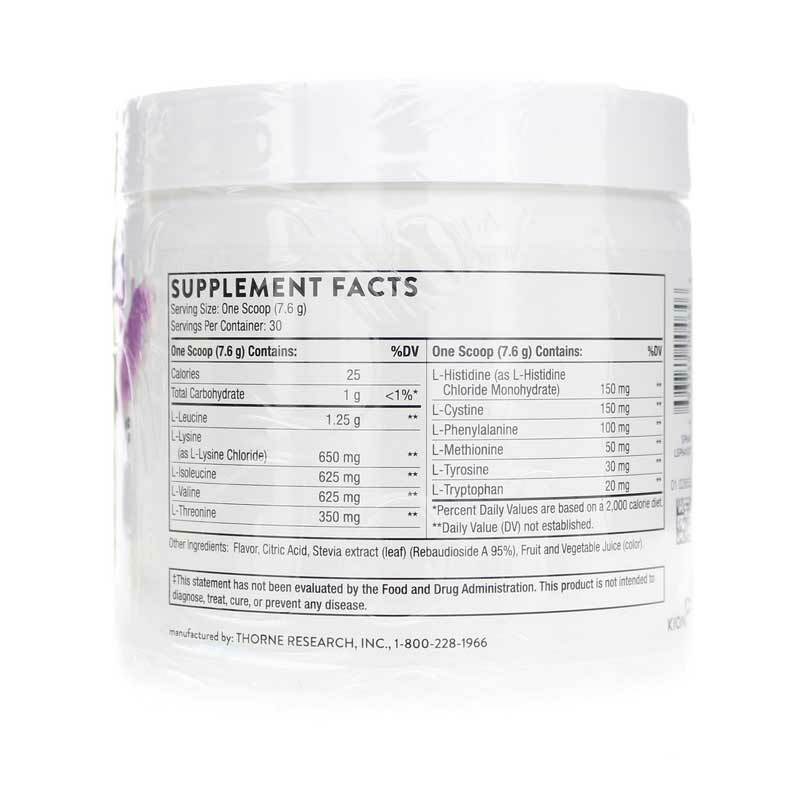 Berry Amino Complex from Thorne Research comes in a delicious berry flavor that you'll love. It's easy to make, too! Just mix with warm or cold liquids and be on your way. Giving your energy levels a bump has never been easier! Give your body the amino acids it needs to keep you going all day long. Try Berry Amino Complex from Thorne Research today and stay on the road to optimal overall health and wellness! Other Ingredients: citric acid, flavors, stevia extract (leaf) (Rebaudioside A 95%), silicon dioxide, vegetable juice (color). 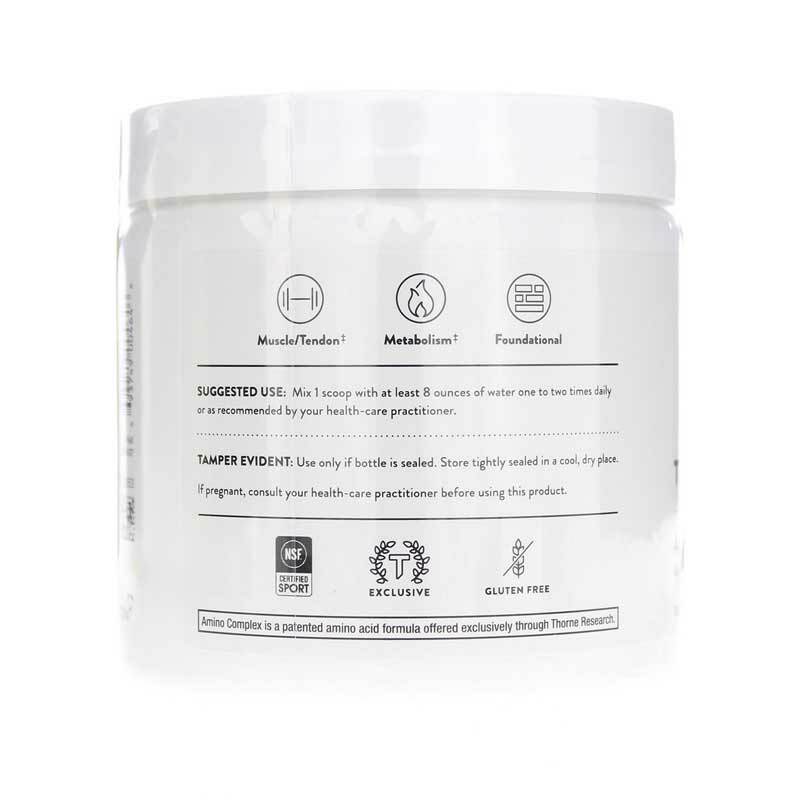 Adults: Mix 1 scoop with 6 ounces of water one to two times daily or as recommended by your healthcare practitioner.